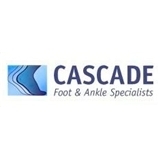 Cascade Foot and Ankle Specialists (Portland) - Book Appointment Online! Our doctors at Cascade Foot and Ankle Specialists are committed to offering excellent, state-of-the-art care in medical and surgical treatment of the foot and ankle. Our clinic offers on-site x-ray and a full-time medical staff to assist in your care. Excellent Doctor who took the time to listen as I described my foot issue and She asked good questions about my injury, footwear etc. After X-rays She explained thoroughly how the foot bones work and a likely cause for the pain, as well as recommended remedy and if necessary follow up. Dr Dalmia was friendly, easy to talk to and not rushed at all so I’d highly recommend her & the office staff was fast and efficient also.